While automotive marketers continue to advance their digital marketing and media strategies, there’s a lot they can learn from other sectors, such as retail, when it comes to aligning merchandising, marketing, inventory, and programmatic bidding. Digital marketers operate in a world where it is finally possible to address yield management with the advertising and marketing technology available, in large part thanks to the maturation of programmatic solutions and systems (a.k.a. programmatic) communicating with one another. Sector aside, when you’re dealing with finite inventory in any given geographic region or physical location, programmatic affords you the opportunity to bid based on what’s in stock—assuming the systems are able to talk to one another. Here are a couple different ways to think about this. As you model, score, target, and evaluate the journey of your audiences online, you come to understand who your best, most-inclined customers are for any given product. Presumably, the goal is to have all your sales be as profitable as possible. 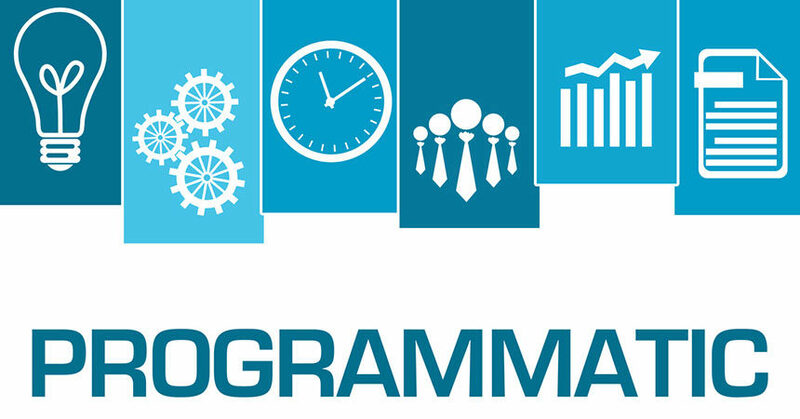 So, in programmatic, your audience-bidding strategy should reflect your cost of sales metrics. When your audience comes into view, essentially progressing along its journey toward purchase, you bid up or down based on its relative likelihood to purchase a given product. Because you have factored in an audiences’ relative score, everything you do to leverage or personalize search, display, or even website personalization takes that score into consideration, and the performance of your marketing and advertising improves. Are you bidding the right amount considering given inventory levels and which vehicles you need to move? Can you modify the bid according to the interest of the specific audiences you’ve valued the most? What substitutions might make sense? Can you personalize the advertising served to direct audiences into different regions or locations based on some combination of inventory availability and audience inclination? There are several key data signals that factor into this as well, perhaps none as important as those gathered from offline audiences. After all, consumers rarely buy cars directly from websites—they buy them in person. Therefore, it’s crucial to use data from these offline audiences that visit the showroom, along with the site-level behavior, when constructing a bidding strategy. This offline data should include consumer transaction histories, as well as indicators of what other kinds of makes or models these consumers have shopped for in the past. For example, offline data can help marketers determine if certain consumers are loyal to your brand, or even a specific model. Going one step further, marketers can then determine if there are geographic areas with a higher percentage of brand- or model-loyalists, and combine that information with inventory insights to adjust and personalize the ads that consumers in that region see. What marketers really need is as complete a profile on their target consumer as possible. Bringing offline data online is now easier than ever, thanks to advancements in onboarding technology. Armed with this clearer image, auto marketers can start to answer some of the important strategic questions they have about their bidding, personalization, and dealership inventory strategies. David Ragals is the senior vice president of customer success for IgnitionOne, where he leads both the account management and professional services teams for the U.S. David’s experience in the digital marketing industry has spanned across product, technology, and services, allowing him to provide 360-degree insights on trends and strategy.